In that many of our clients serve the high-end furniture market, we often receive requests for one-of-a-kind products to meet a specific customer need. 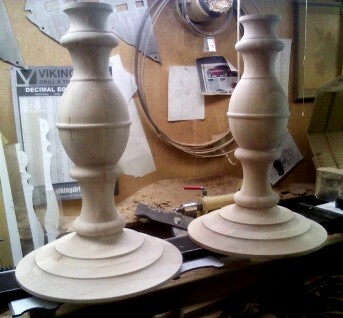 Staircase balusters (spindles), furniture hardware, replacement parts for hand-crafted antique pieces, and custom pedestal bases, just to name a few. The first five photos below are from one of our recent projects. 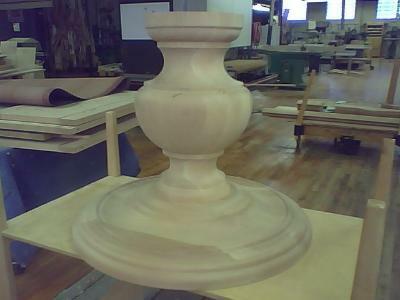 Subsequent photos are of limited edition pedestal bases. 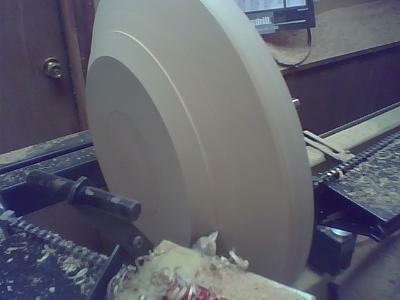 These two maple pedestal bases each measure 18 inches at the base with an 8 inch maximum diameter pedestal. 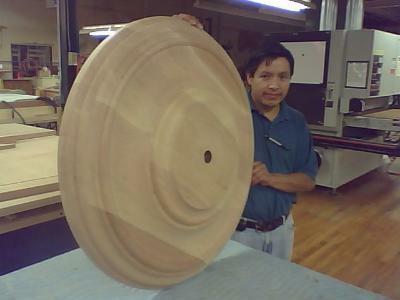 The total height of each is 27 1/2 inches. 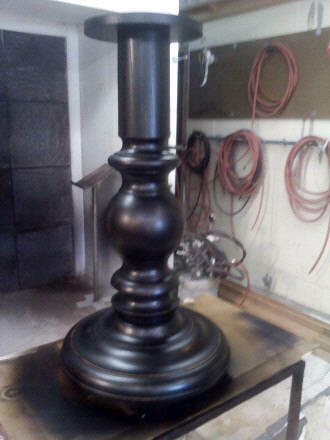 Recently Roger was asked to make a pedestal base for a specific top. 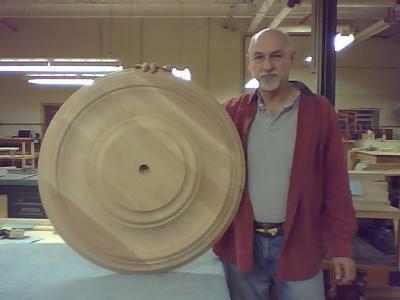 The final product, pictured here, measures a total of 35 inches tall. 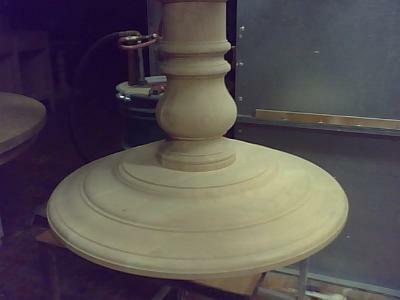 The pedestal base measures 22 inches, with an 8 inch in diameter post.